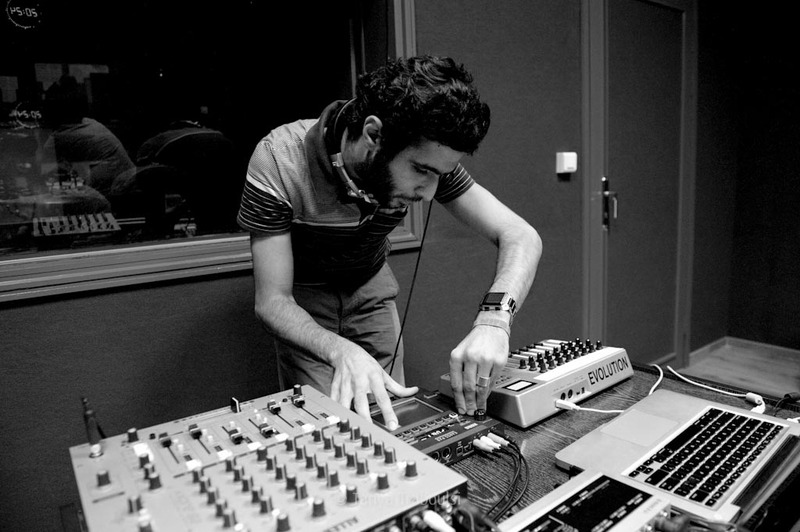 Kevork Keshishian, aka dance music producer Diamond Setter, produced his first-ever live electronic set, over the course of a memorable edition of “Ruptures” in Radio Lebanon’s studios. As his bio tells us, Kevork’s stage-name is a reference to his previous occupation, when he used to spend strenuous hours in his workshop setting diamonds every day. He decided to relinquish this activity in 2008, and devote all his time to DJing and music production. Following stints in various Beiruti bars, Diamond Setter became a resident DJ at The Basement; there, he played alongside several international DJs and musicians, including Tigerskin, Scratch Massive, P-Toile and many others. In parallel to his DJing activities, Diamond Setter holds an impressive track record in the field of production. His partnership with Lebanese DJ/producer Jade yielded a remix for Lebanese electro-rock band Lumi in 2007. The Jade & Diamond Setter duo went on to build a solid reputation as dance music producers, and their tracks received positive feedback on Lebanon’s dance floors. In 2009, Diamond Setter remixed Nina Simone’s “Black Is The Color Of My True Love’s Hair” and Tunisian electro-jazz musician Dhafer Youssef’s “Man Of Wool”. More recent remix work includes Abe Duque’s “What Happened” and Gossip’s “Heavy Cross”, the latter in collaboration with German producer Lopazz. His is the longest live set to be recorded for “Ruptures” yet. Clocking in at 34 minutes, it provides an exemplary outlook on this young DJ/producer’s range of styles and influences, from soul to funk, rock to electronica, to film soundtracks and way beyond.